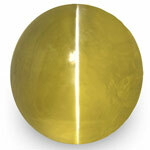 All Testimonials :: StarRuby.in :: Exotic Gemstones - Pure. Natural. Untreated. Im really satisfied with your quality and service , I will continue purchase and recommend to my friend and family about your shop and good quality products with reasonable price. Thanks for best service. I strongly recommend the store, my gems are amazing. Also Mr. Harshil was a nice people. Star Ruby created the Emerald engagement ring of my dreams that I have gotten tonnes of compliments on! I had my heart set on a Colombian Emerald engagement ring. Star Ruby offered a large selection of high quality Colombian emeralds, at a reasonable price. Nothing we saw in Canada came close to the quality of the stone from Star Ruby.The emerald we selected came exactly as described, with the most beautiful intense glowing green colour I have ever seen on an emerald. 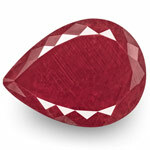 Star Ruby was able to identically create a complex diamond setting, with 172 diamonds from a video we sent. When I first saw the ring, I was blown away by the precision and craftsmanship of the setting. Star Ruby was extremely professional and knowledgeable to deal with. We were sent computer generated designs before the setting was created and given regular updates. We were very pleased and highly recommend Star Ruby! We will definitely be repeat customers! Great friendly service, and high quality gems make this store a delight to shop from.